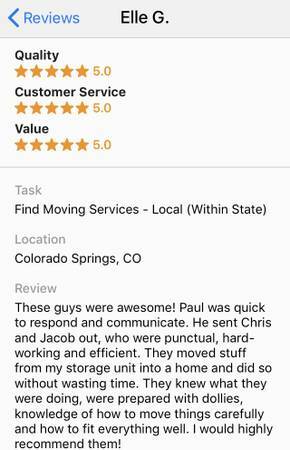 We are here to help your move go as smooth as possible. 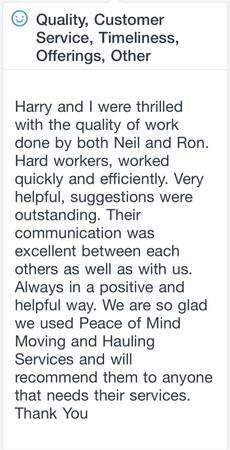 We only use experienced, professional and background-checked movers to ensure your items make it safe and secure to their new destination. We have all the moving equipment and tools needed to peform any job from beginning to end, whether you require a full service move with a truck, packing, loading/unloading, in-home shuffles, hauling and everything in between. We operate seven days a week and provide same day service. We serve Colorado Springs and all surrounding areas including but not limited to Denver, Woodland Park, Pueblo and beyond. **We will match any quote/rates!! One time extra heavy item fees may apply on certain items extra large safes, pianos, etc. 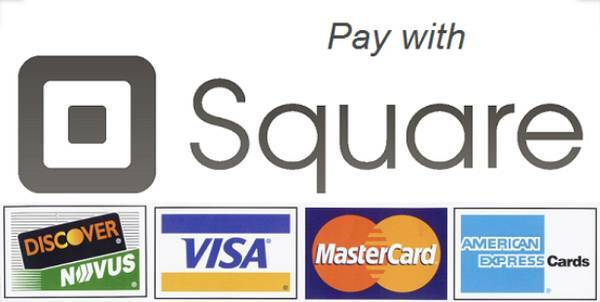 We accept cash or credit cards. Ask about our delivery rates and our haul-away services as well! 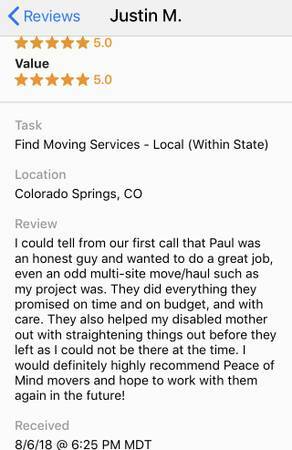 Peace of Mind Moving and Hauling Services is one of the only full service moving companies advertising on Craigslist in the Colorado Springs area that is actually licensed and insured. We are also the most affordable licensed moving company in the area. 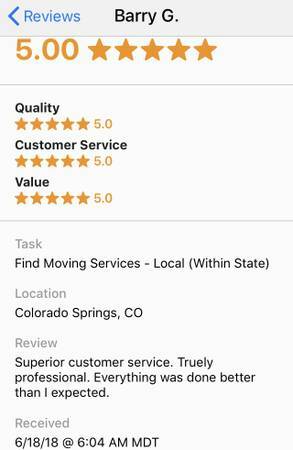 When comparing quotes, you can verify any licensed moving company by copying and pasting the link below for the full list of all licensed and insured movers in the state of Colorado. If they do not have their company name and license number on their ad, THEY ARE NOT LICENSED AND INSURED! Moving is already a stressful event. 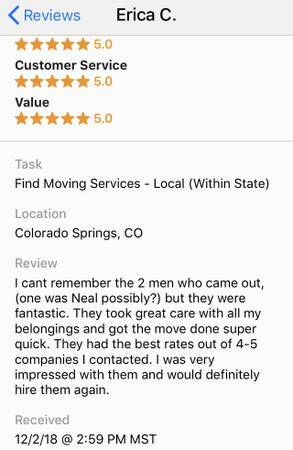 Don't add to yours by hiring illegal, unvetted and inexperienced movers.